I know nothing about this play, but the subject matter and the poster looks intriguing! Playwrights have a hard time these days getting their work into theatres, without the constant meddling of various ‘knowledegable’ theatrical committees, who condemn the scribbler to endless re-writes, whereupon, the finished product is not what the author intended in the first place! 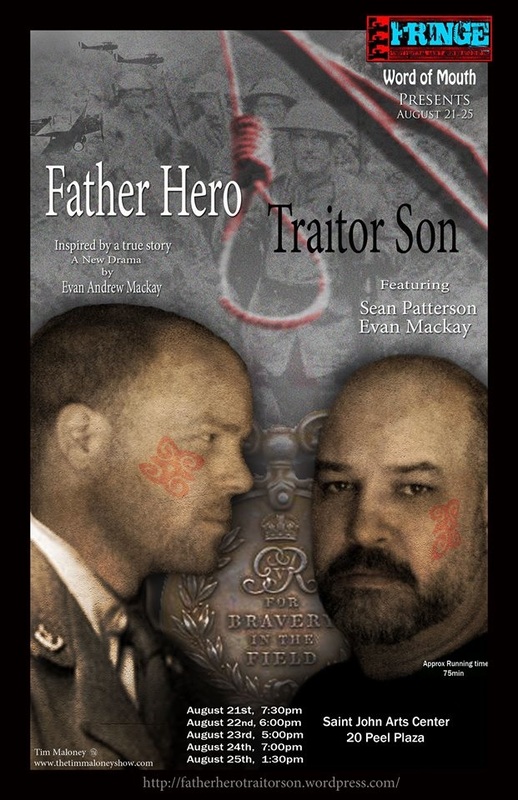 Father Hero Traitor Son is opening on Wednesday, so I probably won’t do another blog post before then. By the end of the month, I hope to resume regular blogging on Good Evaning.